It’s the last of the Himalayan Buddhist kingdoms, which unlike Tibet and Sikkim has retained its independence. Also known as , the “Land of the Thunder Dragon” due to the prevalence of the Drukpa Lineage school of Buddhism (aka the Dragon People). 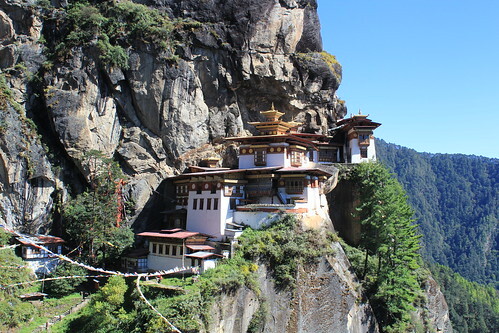 Bhutan is a strongly Bhuddist country, which remained and cut off from the outside world for much of its history. It is one of only a few countries to have been independent throughout its entire history, never conquered, occupied, or governed by an outside power. Since opening its borders to tourists in the 1970s, Bhutan has embraced democracy and now it famously promotes the concept of gross national happiness which is reflected in the Bhutan Gross National Happiness Index.